There is more than one way for cleaning your camera sensor. However, it can easily happen that you make some mistakes when cleaning it, which can do your sensor harm in the long run. In this video, Michael The Maven talks about some of the most common mistakes people make. He also teaches you how to fix them, and proposes some effective methods for sensor cleaning. We know show lasers are dangerous to cameras. Heck, we all remember that RED sensor getting fried from a direct laser hit in a light show. With self-driving cards anticipated to rule the roads, the world may become a totally unsafe place for cameras. Ars Technica reports that During CES Jit Ray Chowdhury, an autonomous vehicle engineer at the startup Ridecell, took some photos of a car equipped with lidars made by AEye. He used a $1,998.00 Sony a7R II. Later, Mr. Chowdhury noticed that all the photos he took after taking that car photos had a couple of bright purple spots on them. Each spot being the center of a cross-like purple pattern. Embarrassingly a few years ago I was very vocal about how disappointed I was about some of the Nikon lenses. I’ve been using Nikon cameras and lenses for decades and although I was very pleased with the image quality and colour rendition their cameras produced, I strongly considered jumping the Nikon ship in search of crisper, cleaner looking lenses. In fact I was so close to leaving Nikon a couple of years ago that I went through the process of hiring and testing other brands to see if other manufacturers could deliver what Nikon could not. It’s been a couple of years since Canon announced a 120MP camera sensor. Now they have released a video which demonstrates how powerful this sensor is. In this video, you can see the comparison between the footage in full HD and 60 times higher resolution of the new Canon’s sensor. Would a circular image sensor be the best thing ever? Heck yeah! Have you ever wondered why camera lenses produce a circular image circle (in general) but sensors are rectangular? Of course the answer is mostly historical – the format of a 35mm photo is in 3:2 aspect ratio, a ratio that people have long known to work well due to human binocular vision. But lenses, in general, are circular. they produce an image circle, a circle that, in general, allows the 35mm sensor to just fit inside it. You don’t want your image circle much bigger than this (except for tilt-shift lenses) because that makes your lenses heavier and more expensive. A few weeks back, DxOMark published their sensor rating for Nikon D850. The newest Nikon DSLR won the impressive 100, and now it “meets its mirrorless match.” Sony a7R III has also scored 100 at DxO’s tests, and it’s now it’s the highest-scoring mirrorless full-frame camera on DxoMark. You know how a tiny, toy magnifying glass can burn little pieces of paper? Well, the camera lens is a not a small, toy, magnifying glass by no means, it is a powerful well-polished tool of optics and using it in the wrong way – say to photograph the sun during an eclipse – can be devastating to the camera sensor. The team at Everything Photography did a little experiment and showed what an unfiltered six seconds exposure would do to your sensor. TL;DR – it fries te sensor. A recent interview with Sony managers discovered that Sony might keep most of their sensors in their own cameras. Mr. Kenji Tanaka and Mr. Yojiro Joe Asai from Sony shared some plans of the company, and among other things, they discovered the future of their sensors. The RED Epic Dragon prototype was the first sensor to score over 100 on DxOMark sensor score scale, and it hit 101. 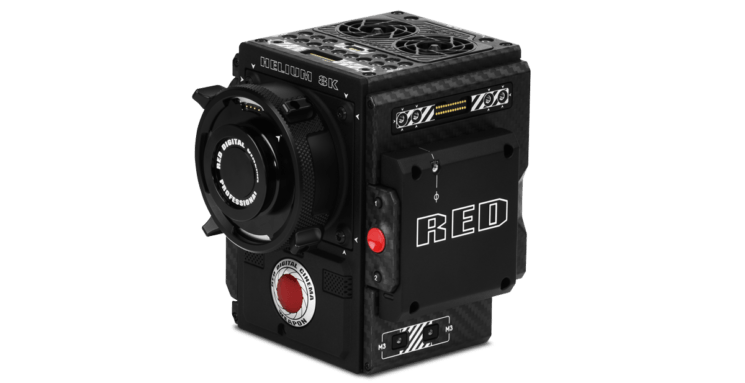 But they has recently given RED’s 35.4MP Helium 8K sensor the highest overall score so far: 108. It means that this is not the first to exceed the 100 point bar, but it set up a new record. The quality of long exposures is determined mostly by the amount of noise a camera produces. The lower the noise levels, the better the exposure. This is especially true if you are shooting lots of nightscapes or night skies, where most of the photo is black. And Brendan Davey shoots a lot of night photos, in fact he shoots enough of them that it was worth a while for him to create a database which compares the amounts of noise each camera (or camera sensor) produces.